We all are aware of the importance of nutrition during pregnancy, as the baby in the womb takes all the nutrition from the mother. Much of the baby’s future health conditions depend upon the nutrient intake of the mother. Because you are eating for two, it is quite obvious that the food intake as well as nutrient intake increases. Any lack of nutrients can lead to long-term and short-term affectation on the child as well as the mother. To understand more about it let us have a look how this deficiency affects pregnancy. It is a deficiency that occurs when the mother does not take the required amount of energy and nutrients. It generally occurs when your intake of food is less than the daily requirement. This affects the health of the mother and the baby resulting in them being underweight while making both of them prone to ill health. Further, malnutrition may hinder or impair the development of the embryo. It affects the division of cells. When the embryo attaches itself to the uterus wall, it differentiates into two kinds of cell, one that grows the foetus and the other that grows the placenta. In undernourished women, the cells are more likely to attach itself to the placenta. Thus, the embryo grows smaller than it normally should. In addition, in such a condition, slower division retards the growth of organs as well. In the future, the child becomes more susceptible to circulatory, respiratory, digestive and nervous system disorders. The main cause of malnutrition in pregnancy is the severe morning sickness which includes nausea and vomiting. 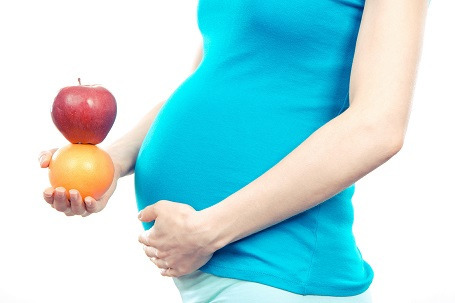 As a result, it is suggested to maintain a good diet before planning a pregnancy and continuing it throughout. The second category refers to a condition when the mother is eating enough food to maintain the energy requirement, however, does not take enough of some micro-nutrients essential for pregnancy. The lack of certain micro-nutrients has adverse effects on the foetus. The lack of iron can hamper the brain development of the child in the womb. The lack of folate can result in the neural tube (a tube from which brain and spinal cord develop) defect. The deficiency of zinc can cause fetal growth retardation and an increase in birth defects. In short, focus on getting all nutrients before planning a pregnancy, throughout the pregnancy and even after it.